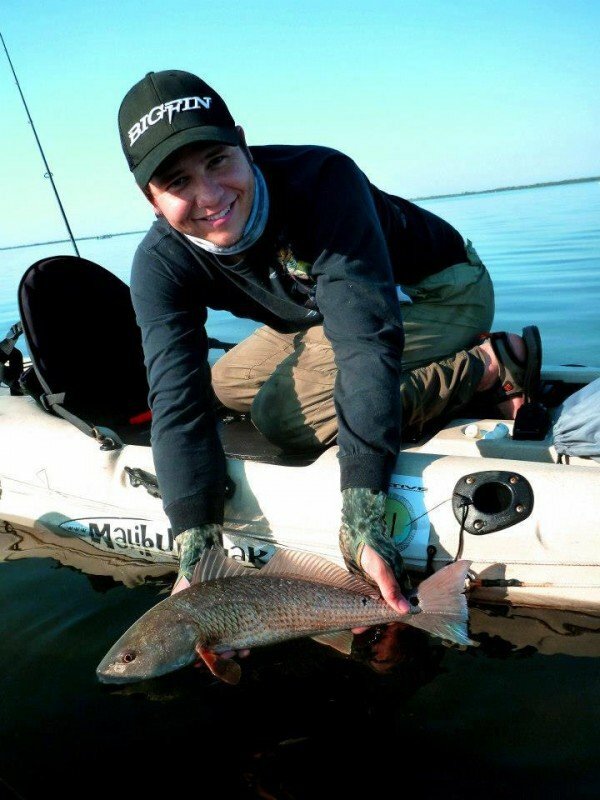 Fishing Kayak Reviews Malibu "Stealth 14"
The Malibu Kayaks "Stealth 14 " Kayak gives serious kayak anglers proven Stealth series performance with the latest features. 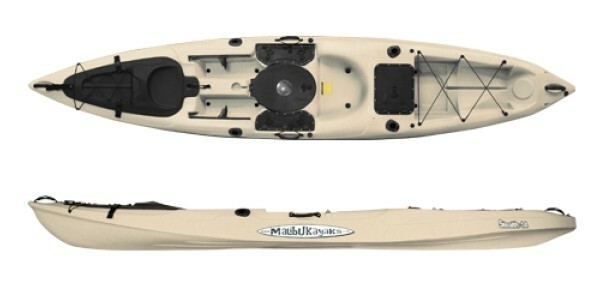 Measuring 14' 4'' long, this kayak offers fishing enthusiasts Malibu's patented center bait tank system surrounded by a casting platform in a wide cockpit area. The Stealth 14 offers lots of storage options, starting with a Deluxe Hinged Gator Hatch in the bow, providing both storage and a seat for a young fishing buddy. In the stern, the Stealth 14 offers a large rear tankwell with bungee, offering enough room for a five gallon bait tank or milk crate and a 45º rear hatch with bag. Adjustable Foot Track System and comfortable seating for more enjoyable paddling. The Stealth 14 also offers bow and stern carry handles for easy handling and side carry handles that double as paddle holders. Durable roto-molded, linear polyethylene construction.. The Malibu Stealth 14 is great! It is one of the better Fishing Kayaks to stand on and I really appreciated all the compartments that were available including the handy Centre Bait Tank! I found this kayak moved gracefully through the water thanks to its V Shaped Nose that allows it to cut through the water with relative ease. I purchased the X seat separately because I wanted to go on longer fishing trips without sacrificing my back! Definitely no complaints there as it is one of the most comfortable kayak seats I have ever been on! I only wish it came with the kayak but I understand why they would sell it separately. There was even enough room to have my 4 legged friend join me for a quick leisurely paddle! I've owned several Malibu Kayaks over the past year and a half, with an X-Factor being my previous model. I call it a "Shallow, Stable Beast" because it has proven to be my personal preferred water vessel when stalking fish in shallow water. The stability of this kayak is superb. With a width of 33" and the conveniently placed hatches on each side of the center livewell hatch, I feel naturally balanced and can pole across a shallow flat with ease. Many people consider buying Malibu's not only for their stability, but for the storage capabilities as well. However, I only bring the basics on board with me, so I don't see the need in utilizing the storage space around the kayak. Having no extra weight in the storage compartments is a plus because, as many might have figured, Malibu's are not the speediest of kayaks on the market. 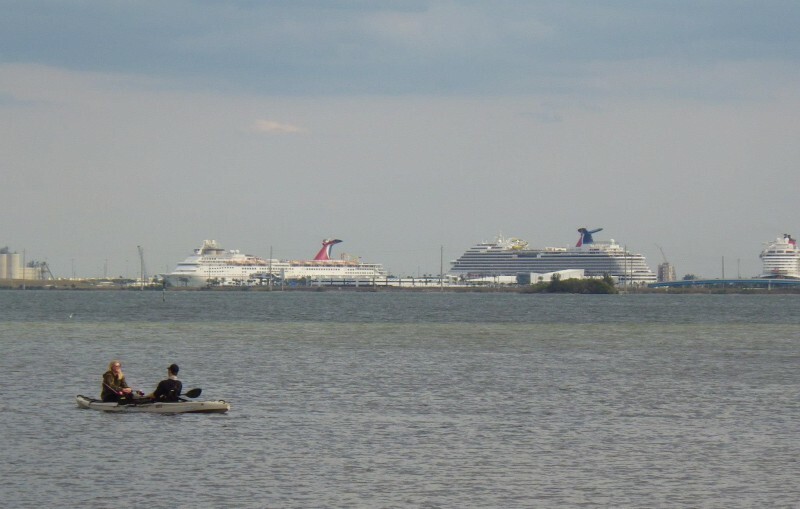 They do track very well in calm to moderate conditions; but with a strong frontal or sideways gust of wind, the kayak is difficult to keep a heading without a rudder. By choosing to take only the essentials out on the water with me (all conveniently placed in a draw string back behind my seat), I am able to keep a steady speed right next to Jackson Cuda and Native Slayer owners. Overall, the features to this kayak are phenomenal. The center Livewell comes standard with a drain plug that can be removed to fill/drain water based on the weight on the vessel. I can comfortably keep 5-8 Finger Mullet, a dozen Shrimp or several Pogies/Threadfin Hearing (which require a decent amount of water circulation) alive for several hours. Having the livewell between my legs eliminates the need to reach behind me and, well, struggle to grab a lively bait circling a 5 gal. bucket. There are 4 flush mount rod holders on the Stealth 14, allowing me to have one rod up front and ready if I see a cruising fish and need to make a quick cast. No extra accessories needed; just a simple grab and pitch feature that has helped me land MANY fish without having to look behind me and grab the appropriate rod. I actually prefer the standard rod holders over accessories like Scotty or RAM mounts; if I'm hooked into a fish and need to fight him around the front of the boat, accessories just adds one more thing to hang up on. The gator hatch up front included on all Stealth 14's is a huge plus too, since my girlfriend occasionally joins me on the water and can sit right up front. It does limit my speed a little, but in shallow water situations it really isn't a burden. 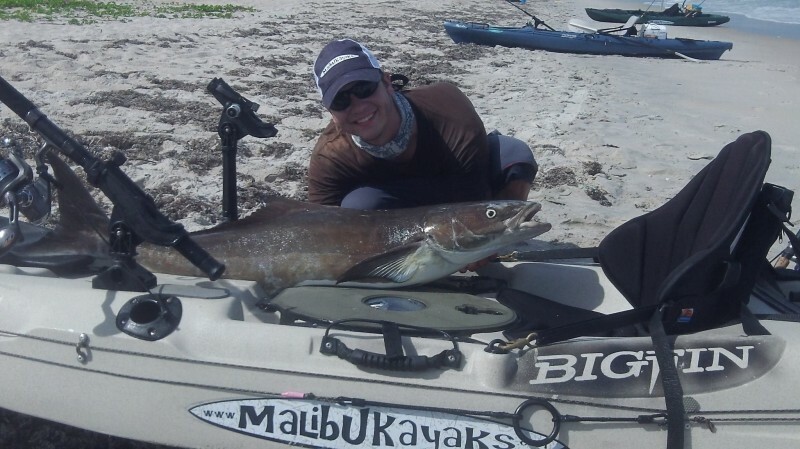 Finally, one of the biggest reasons I've chosen this kayak is for its beach fishing capabilities. The stability, storage and livewell feature allow for ease of launch and re-entry in the surf. Being able to ensure your gear stays protected and within the vessel is priority numero uno; trust me, it's not a fun day when you lose your phone or, God forbid, one of your rods in the surf! All of my reels have a waterproof drag, so I don't normally store my tackle inside the kayak during a launch, but it's available if you so choose. The livewell is just the icing on the cake. 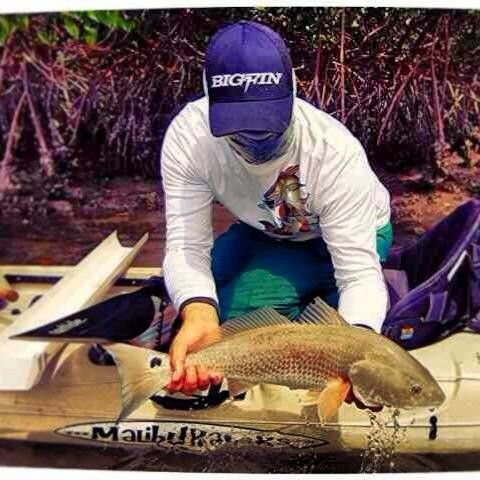 -Not a "Speed Demon" by any means, but with limited items on-board can still be a relatively fast kayak. -Livewell in center allows for extra storage or bait fishing opportunities with ease. -Gator Hatch seat for your child or girlfriend to head out with you on the water!